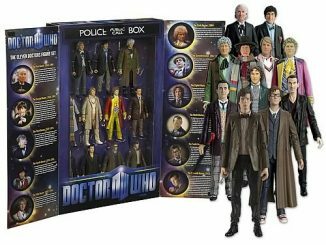 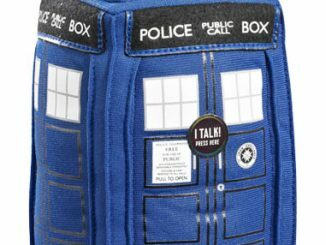 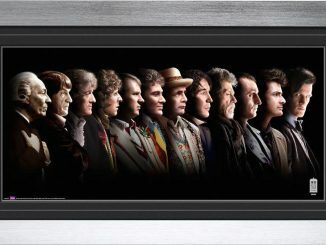 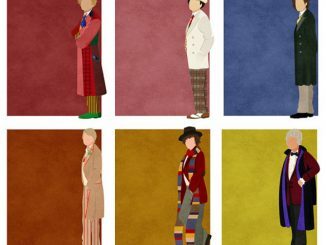 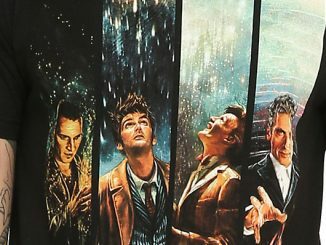 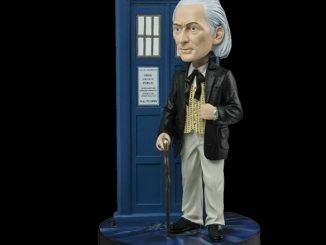 Everyone has their favorite Doctor but why limit yourself to just one? 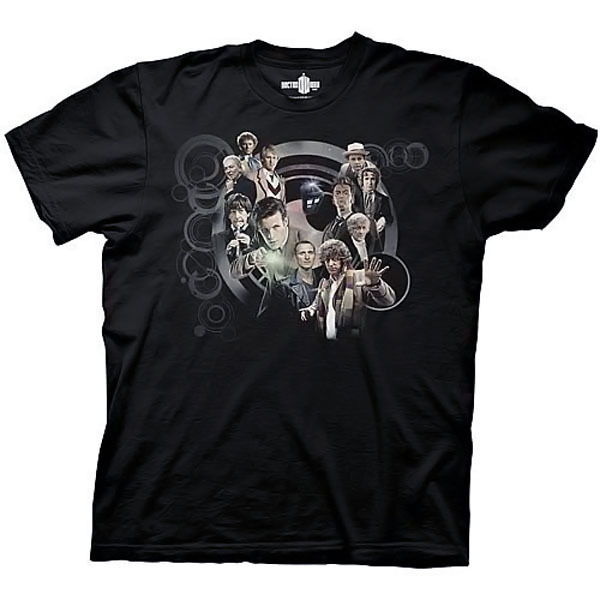 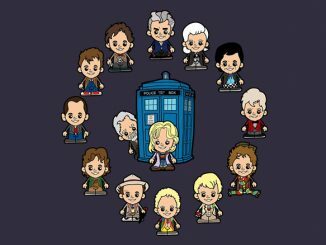 The Doctor Who All Doctors and TARDIS Collage T-Shirt lets you honor all eleven incarnations of the quirky Time Lord in a collage that includes the TARDIS, symbols from the Gallifreyian language, and portraits of all the Doctors from Matt Smith all the way back to William Hartnell, who first introduced the world to the madman in the box in 1963. 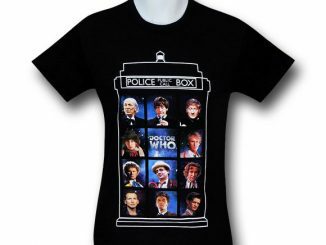 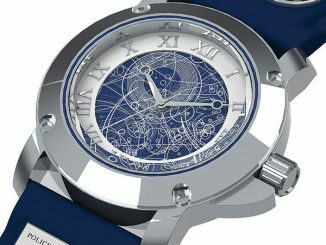 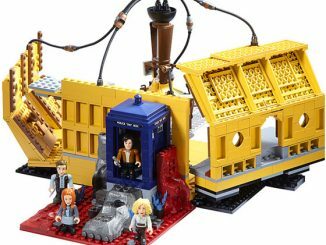 You can add the Doctor Who All Doctors and TARDIS Collage T-Shirt to your Doctor Who wardrobe for $16.99 at Entertainment Earth and Amazon.com has it in both a men’s cut and ladies cut.